Give your old conservatory a fresh lease of life. 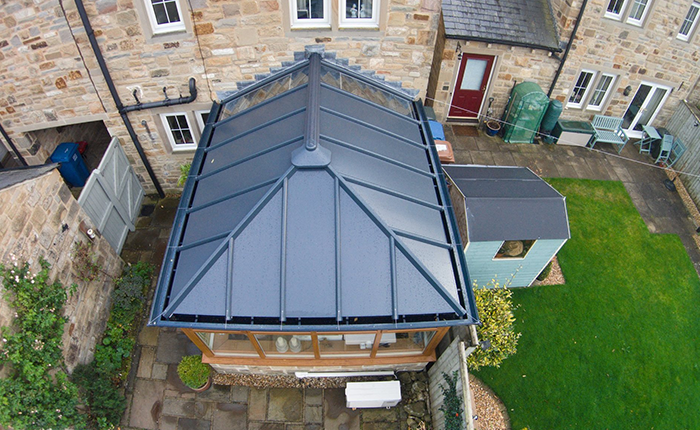 With glass technology constantly evolving and a vast choice of solid roofs now available, at Kingfisher we can offer a free quotation to upgrade your existing conservatory to something more modern using your existing base. This could be a roof only replacement or a complete new style of conservatory using one of the many updated design options available. Our team of skilled fitters can provide you with innovative makeover ideas that feature the latest styles and meet your specific requirements. If you want a brand-new conservatory for your home, we can design and install one that not only adds value to your property but also add style. 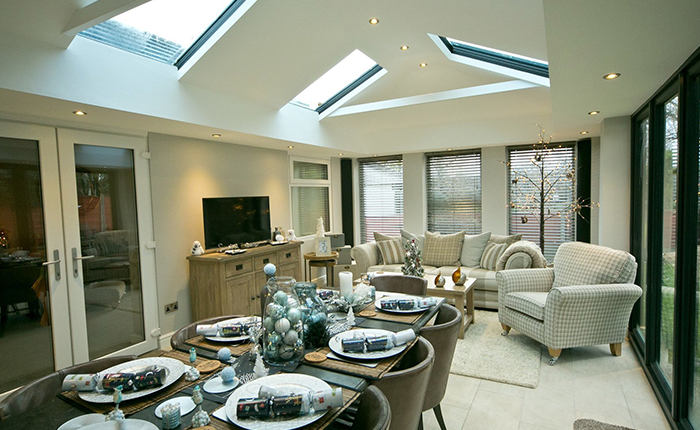 Our experienced fitters will ensure that your new conservatory is installed to perfection. 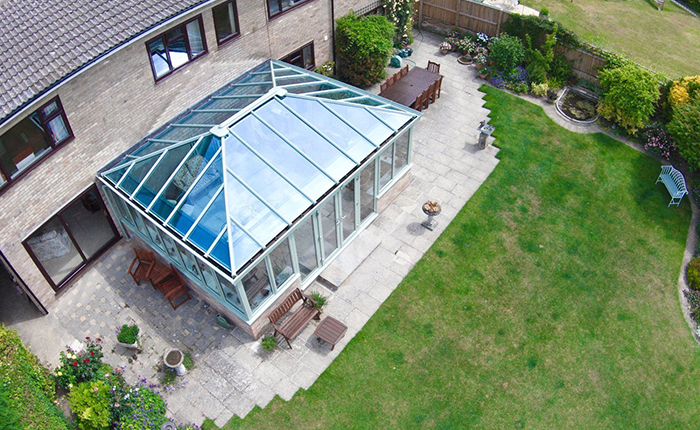 Based in Swindon, we offer conservatory and orangery installations for customers in Pewsey, Malmesbury and the surrounding areas. Get in touch with us to discuss your requirements. 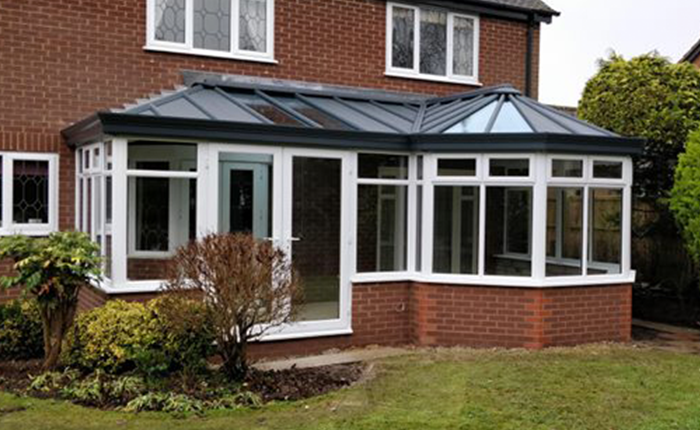 Choose the experts at Kingfisher to carry out conservatory renovations. Call us to schedule a survey. Outlook Limited is a company registered in England and Wales. Registered number: 02672579. Registered office: Outlook Limited, Unit 7 Great Western Trade Park, Bruce Street Bridges, Swindon, Wiltshire SN2 2DJ. Great service from start to finish. Honest and transparent pricing, good advice and no pushy sales talk from Bill, and excellent installation from Damon and Zak, who were friendly, professional, quick, efficient and tidy. A super job that we're really pleased with, and although the weather's turning warmer we're noticing the difference already. Thanks to the Kingfisher team. Great, efficient, company, really friendly and considerate, excellent attention to detail. We were looking to have a suitable conservatory that was in keeping with our old Victorian property. We had researched quite a few companies around Swindon before Instructing Kingfisher.It definitely paid off, as they carried out a fantiastic job, great service and a conservatory that we are really pleased with. Would highly recommend. After getting let down by another company Kingfisher stepped in and rescued the project. Fantastic customer service they bent over backwards to facilitate our requirements. The guys on site worked hard and were polite and professional all the way through. Cant recommend highly enough. Great local company. Kind Regards Leo. I called this company with an urgent requirement and was not only given a great price but my extremely tight deadlines were met alongside great customer service. I will 100% use them and wouldn't hesitate to recommend them. I just had my bi-fold doors fitted by Kingfisher. They were recommended to me. The process was so painless compared to the whole build of an extension. From the moment I made the call I felt at ease with the feeling they knew what their doing. They arranged everything with my contractor, turned up on the day and did exactly as requested. I'm very happy with the work done. Thank you Kingfisher. I have used Kingfisher Windows twice recently. Brilliant service from start to finish. Windows arrived on time, exactly to specification and they were professionally fitted. Very Tidy workmen who were also very polite and friendly. Would highly recommend. Didn't realise these guys did roller garage doors but they were very professional and real good quality doors. Very happy customer. Not the cheapest in Swindon but fantastic service from initial quote to installation of our new patio doors. We are really happy with the service from Kingfisher and would 100% recommend to anyone looking for a quality installer in Swindon. Love our new aluminium bi-folding doors. thanks to the guys at Kingfisher especially Matt who was brilliant from start to finish. Best in Swindon by far. From start to finish Kingfisher exceeded all our expectations. Outstanding service and quality of workmanship at a competitive price. The conservatory exceeds our expectations, particularly in terms of its insulation properties. They went the extra mile to make sure we got what we wanted. We couldn't have asked for more.